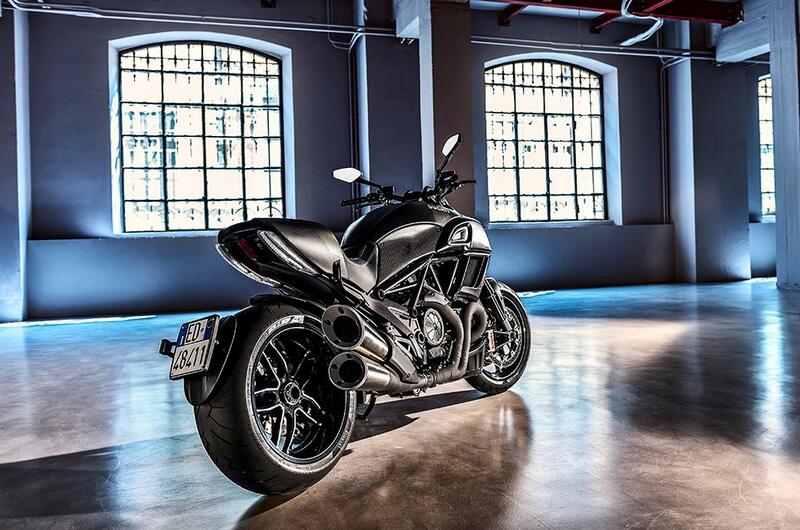 Ducati have released details of their 2016 Diavel Carbon, with new graphics and several new technical and aesthetic updates. 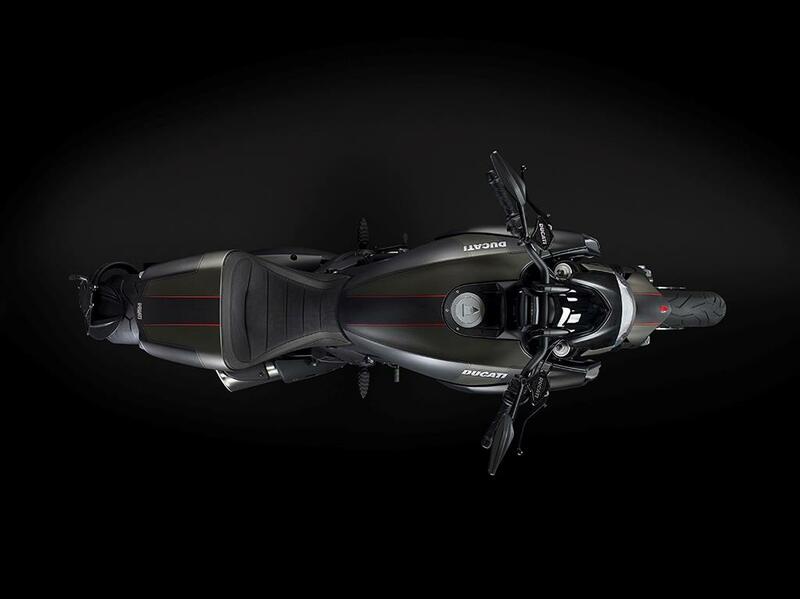 The new Asphalt Grey colour mixes with the visible carbon, red stripes, and Dark Chrome paintwork on the frame, while the exposed machined finish on the wheels adds a flash of bling. 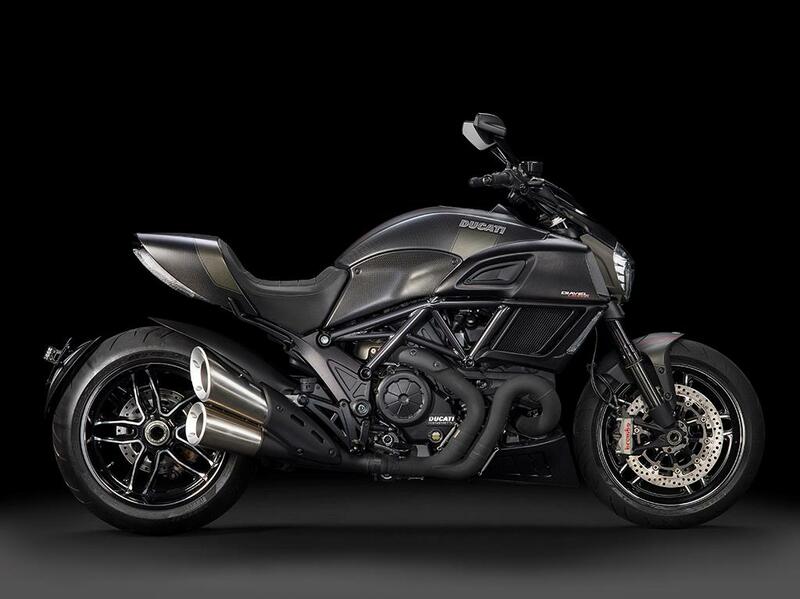 Also new are exhaust manifolds with Zircotec ceramic coating, brushed-effect stainless steel silencer covers, and a redesigned seat with new trim. 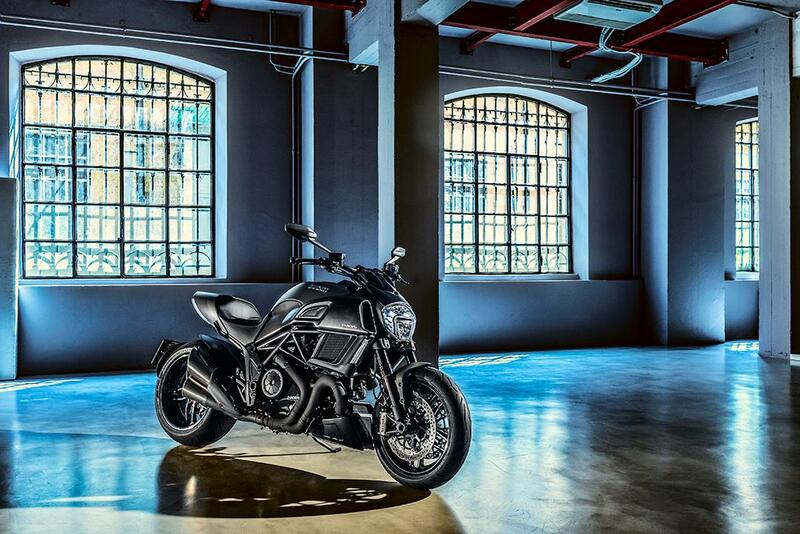 No confirmation yet on pricing or availability, or the anticiapted integration of the DVT motor into the Diavel range. 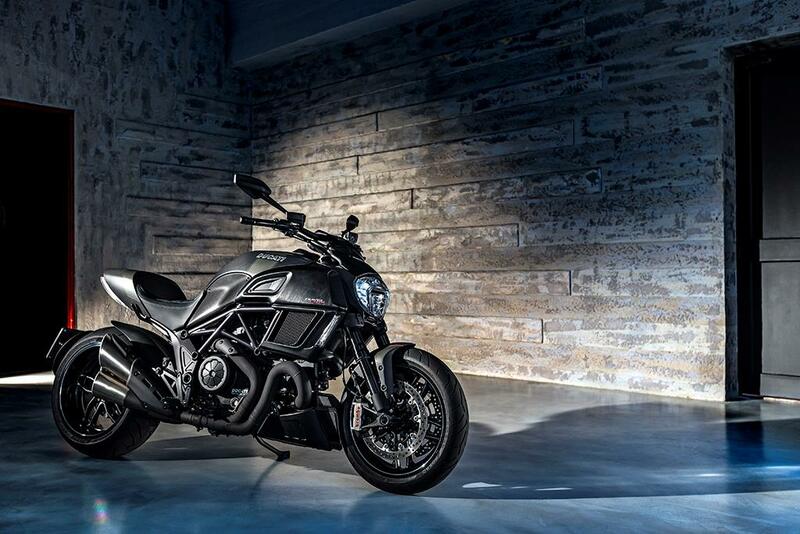 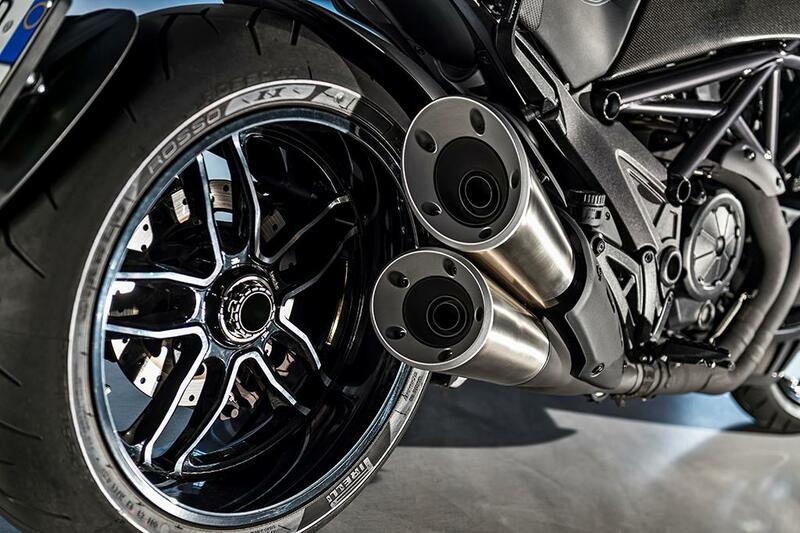 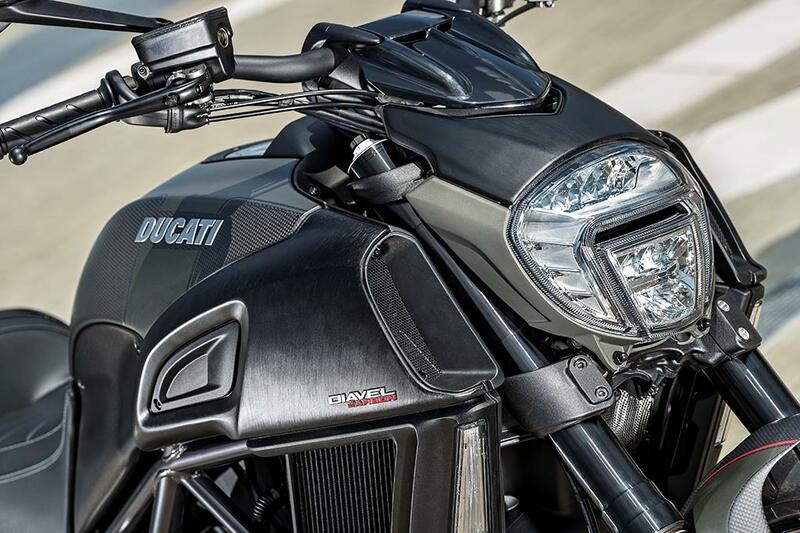 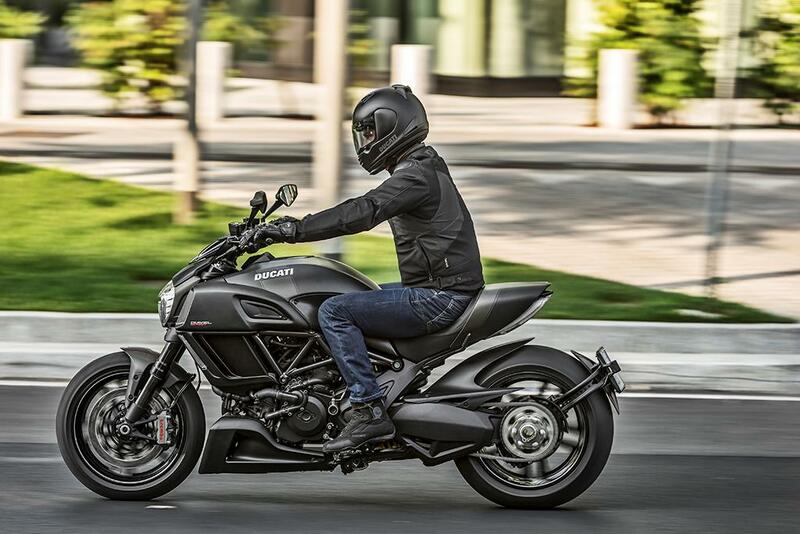 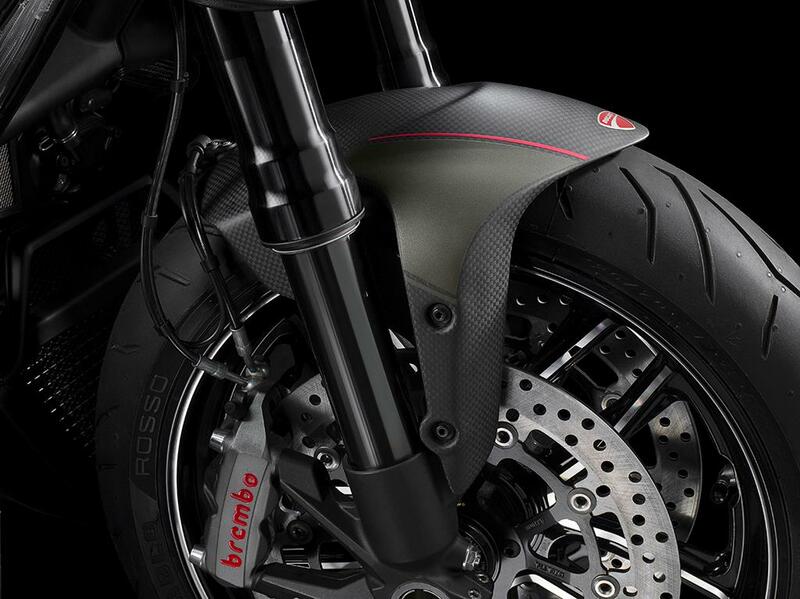 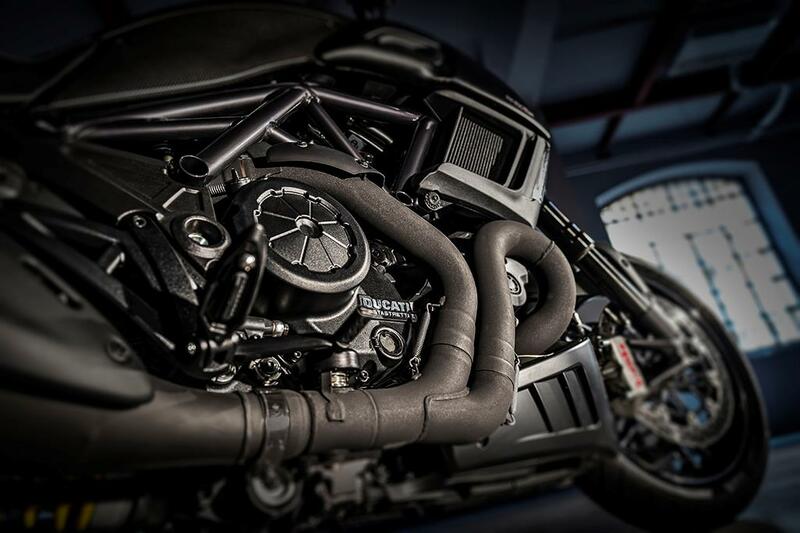 We believe its coming, and that there will also be a Diavel 'Custom' in 2016.